Let's consider a brother site of our site, Math.SE. I don't ask for loading MathJax in TeX.SE because we don't really need it. However, TeX.SE is a site about TeX, LaTeX and ConTeXt, so what we really need is code. Syntax similar to \centering for right and left? So why a feature for "coding" sites, like SO, TeX.SE, etc., for code in the title, hasn't been introduced yet? 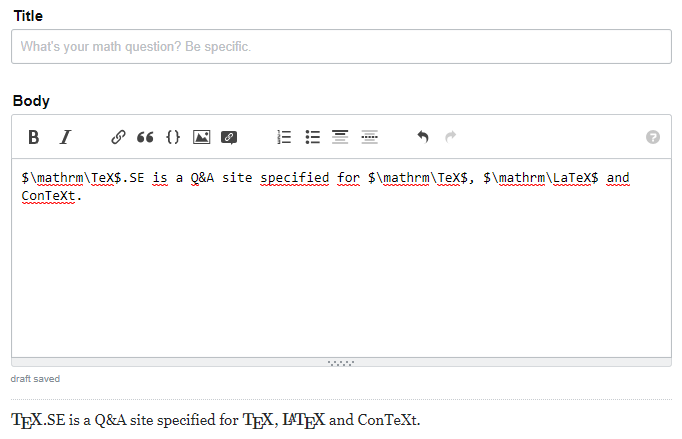 I'm wondering why a site not too related to TEX, LATEX can show the word correctly when TeX.SE can not. It is a bit odd. I think there is no need to load MathJax here, but we should have a tool to type $\TeX$ and $\LaTeX$ correctly! 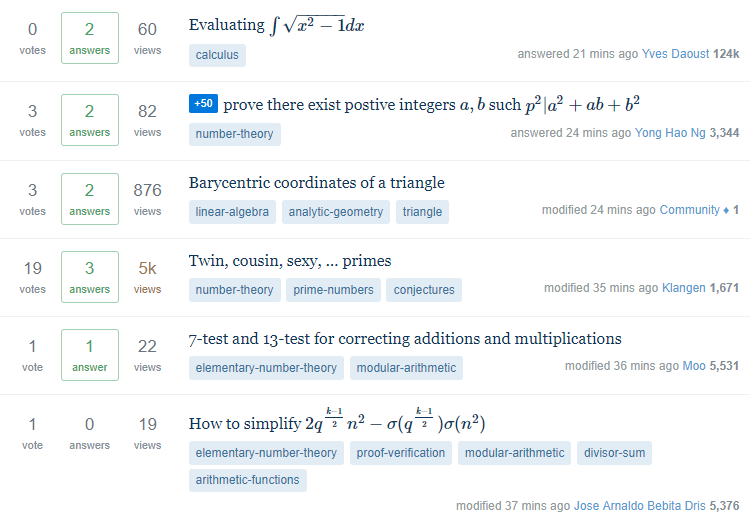 Browse other questions tagged feature-request formatting . Can we have an on-the-fly LaTeX parser? Why does TeX not show up in my question (at least in the preview)? Why can't TeX.SE compile my TeX code?